I have been following a low-carb, ketogenic diet since March 2017 and, since that time, my life has improved so drastically that I have continued to eat this way and will continue to for the foreseeable future. Unlike any other diet I have tried (and failed at) before, a ketogenic diet is incredibly sustainable and anything but restrictive. This is the most food freedom I have had since my early 20s when I was living off of late-night pizza and sub sandwiches. Oh, and beer and vodka. 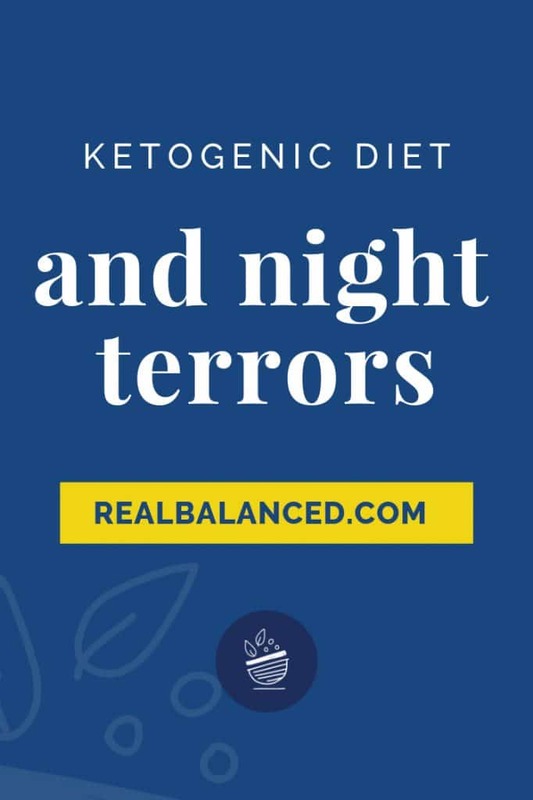 Aside from a plethora of other health benefits I have experienced since lowering my carbohydrate consumption, the primary reason this diet has so significantly helped me is by altogether eliminating my battle with night terrors. 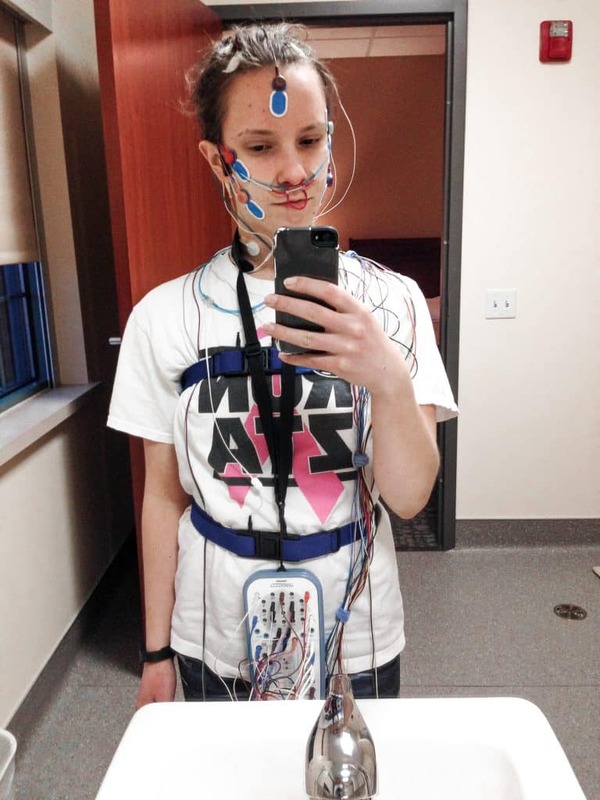 In 2015, I began exhibiting some odd tendencies in the first hour or so of falling asleep. It began with jolting awake in a pure panic that I had (yes, this is going to sound crazy) misplaced my dog. Not that he ran away. That I legitimately set him down and couldn’t remember where I put him. Now I realize this sounds funny (I’m laughing in hindsight as I write this), but in the moment, it was a feeling of complete terror. These episodes of waking up and thinking I lost Rowsdower happened on a nightly basis. We thought that I must have just been on “high alert” as we had recently adopted our puppy and that I was feeling overwhelmed with the new responsibility. During this period, we also moved to a new house. Once in the new house, the sleep episodes began to intensify. One of my most awful night terrors actually happened shortly after our move and the experience still haunts me to this day. I believed (and hallucinated) that a man had entered our bedroom and was quickly moving toward me to attack. I began to scream as loud as I could (in my dream and, unbeknownst to me, in real life too), jolting Ryan awake. Ryan, bless his heart, tried to calm me down, but I thought Ryan was “the bad man” and I fought back and began to scream louder and hit him. He finally was able to wake me up and we were both pretty shocked by what had just happened. I remember laying there, crying, and just repeatedly apologizing for my actions. I was so afraid and just completely mortified over what I had just done. From this point on, the night terrors were there to stay. Every night I would have at least one episode, sometimes two. Every. Single. Night. It began to affect my life so much that I couldn’t sleep whatsoever. I was too afraid to fall asleep, knowing full well that a night terror was inevitable. For over two years, I truly don’t think I fully fell asleep once. Either I fell asleep for a short time, had a night terror, and couldn’t sleep for the remainder of the night, or, I was altogether too scared of sleeping. Our lives felt like they were at a standstill. I never slept. Ryan never slept. We were miserable and just so unbearably tired. During this period, I visited so many doctors that it seemed my calendar was 95% filled with appointments at various medical offices. I took off work so much that I was unable to take any vacation days whatsoever as I had used all of my PTO up for trips to the doctor. I was sent on my way with zero answers, although I did receive prescriptions for sleep medication and anti-depressants. I never took them. It was also during this time that I began experiencing a myriad of gastrointestinal problems. I felt like my health was completely out of my control. I wasn’t sleeping and I couldn’t leave my house for an extended period of time for fear that I would get sick in public. It seemed that doctors were unable to help me, so I decided that I needed to become an active participant in my own health journey. I spent endless hours researching medical journals, reading health websites, and listening to podcasts to learn about the relationship between nutrition and sleep. I first began to follow a very strict paleo diet that was free from grains, gluten, dairy, soy, and MSG. 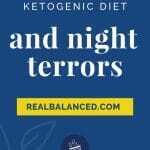 I never strayed from this diet as my GI symptoms quickly began to improve; my sleep, however, was still terrible and I was continuing to experience nightly night terrors. After following paleo for almost a year, I noticed some other health problems surfacing; most notably, my blood sugar was out of control. 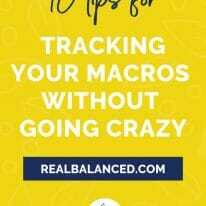 I began testing my blood glucose levels and they were that of a diabetic, which was unsurprising to me as I was experiencing a lot of the symptoms that I read diabetics deal with on a daily basis (cravings, moodiness, plummeting energy, poor eyesight, etc.). The most frustrating symptom was my decreased energy. I’ve always been someone on the go, go, go, but no longer. I needed a minimum of an hour each afternoon to lay down as I felt exhausted, anxious, and depressed. It was so unlike me. As an added level of “fun,” I was so moody that I truthfully cannot believe Ryan stayed with me. I won’t get into the particulars (mostly because I am quite embarrassed), but I was not a nice person during this period. Between the lack of sleeping and my blood sugar spikes and drops, I was not someone that even I wanted to be around. I closed the door on friendships, never left my house, and went into several months of deep sadness. It was a really hard time. It was around early 2017 that I learned how carbohydrate intake can lead to unwanted consequences for some people. I had never thought about this before as I was always under the impression that carbs were good and fat was evil. “Fat makes you fat.” “Carbs give you energy.” “Carbs are essential for life.” Blah blah blah. I think it was on a Robb Wolf podcast that I first heard the term “ketosis” and about the ketogenic diet. It was a diet consisting of high fat foods, restricted carbohydrates, and moderate protein. It could balance your blood sugar, moods, and hormones (oh, did I forget to mention that I also lost my period for over a year?). I was intrigued by the idea of the diet, to say the least. I had nothing to lose and everything to gain. 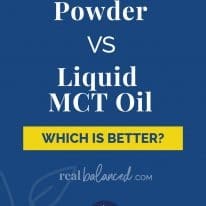 I dove head first into research about ketosis. A week later, I fully committed to it. The rest was history. My night terrors ended. Almost immediately. And have not resurfaced. Within the first week of strict keto, our household slept. Real sleep. From sundown to sunup, we slept. It was so glorious. It makes me emotional to even write how special that first week of sleep was. I still have a hard time believing that my diet was the culprit for my daily night terrors. Ryan and I will sometimes reminisce about this time in our relationship and, now that we are passed it, can laugh about how absolutely ridiculous it all was. He truly is a saint for sticking with me during this phase. I was an impossible human to rationalize with, but he always took my “attitude problem” in stride. Nowadays, my sleep is pristine. Every night, I sleep like a baby and awake feeling refreshed and ready to conquer the day. Once the night terrors ended and I began to sleep through the night, I took additional steps to continue to improve my sleep. The below are my recommendations for improving sleep quality. 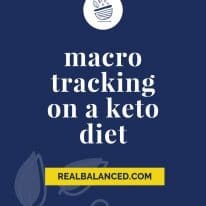 A ketogenic diet: This was the first step for improving my sleep quality. If you are similiar to me, your brain may prefer to run on ketones rather than glucose. Magnesium supplementation: Most people are deficient in magnesium, an essential component in many bodily functions. Supplementing with magnesium has been the cornerstone of deep sleep for Ryan and me. We use this brand. Black-out curtains: We recently invested in some black-out curtains to cover the two windows in our bedroom. Once installed, we instantly realized how bright our bedroom previously was. With the curtains up, our room is pitch black. Keep the room cold: You’ve probably experienced sleeping in a hot room before. Miserable. Keep your room cold for good sleep. If you have to pay a little extra for air conditioning, do it. Deep sleep is that important to overall health. A few extra dollars in energy costs is well-worth the benefits of feeling rested. “Sleep With Me” podcast: We listen to Scooter “drone on” (his words, not mine) every single night. If you’ve never listened to the “Sleep With Me” podcast before, try it every night for one week. The first couple of nights might be a little weird, but you’ll get used to it and eventually, you’ll never be able to fall asleep without him! Has Your Diet Improved Your Sleep Quality? I’d love to know if reducing your carbohydrate intake has improved your sleep quality! Please feel free to leave a comment with your experience below! 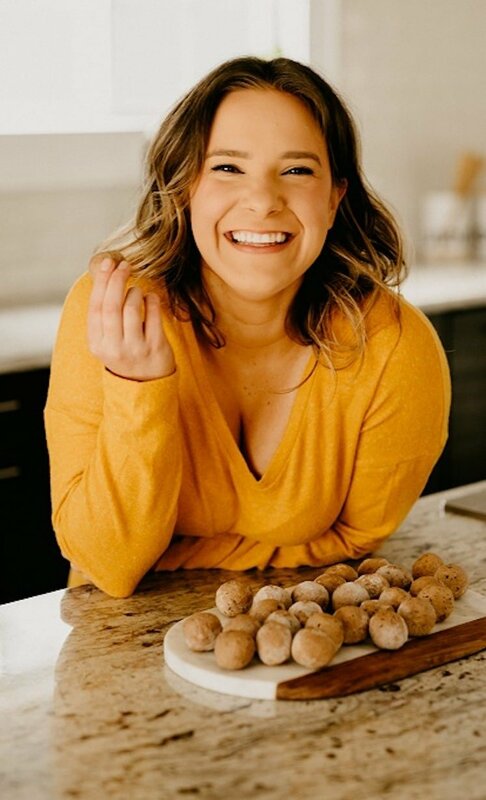 I’m so happy I came across one of your fat bomb recipes so that I could read your story. Thank you for sharing and I’m even happier that keto was able to help you. I’m sure you and Ryan were just miserable. I started keto about 3-4 months ago and it’s been one of the most rewarding and health beneficial decisions I’ve ever made. I look forward to trying your recipes! Thank you so much, Harriet!!! We are so happy to finally be able to sleep. Those two years of night terrors were very, very draining. It’s wonderful to hear that you’re experiencing benefits from keto too! Thank you for being here and thank you for taking the time to leave a comment! I am just so proud of you for sharing this online for the world to see. It was so informative and yet such an emotional read. I know I say this all the time, but you are amazing and Ryan is such an amazing husband. I am so happy/greatful to call you both my friends. Thanks for sharing your story, Sara! Thank you, Ren!!! Ryan and I are so glad we crossed paths with you and I’m so, so grateful to call you my friend! Love you!